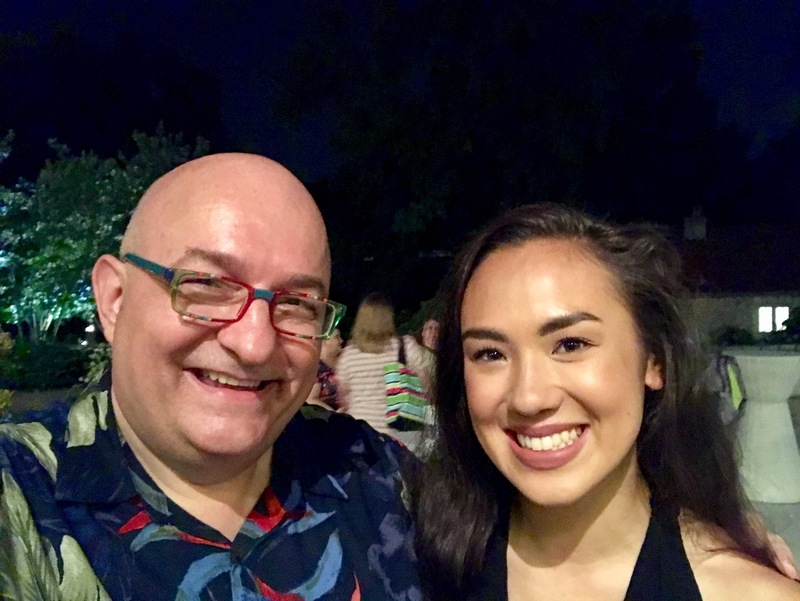 muny | and sure stars shining . . . 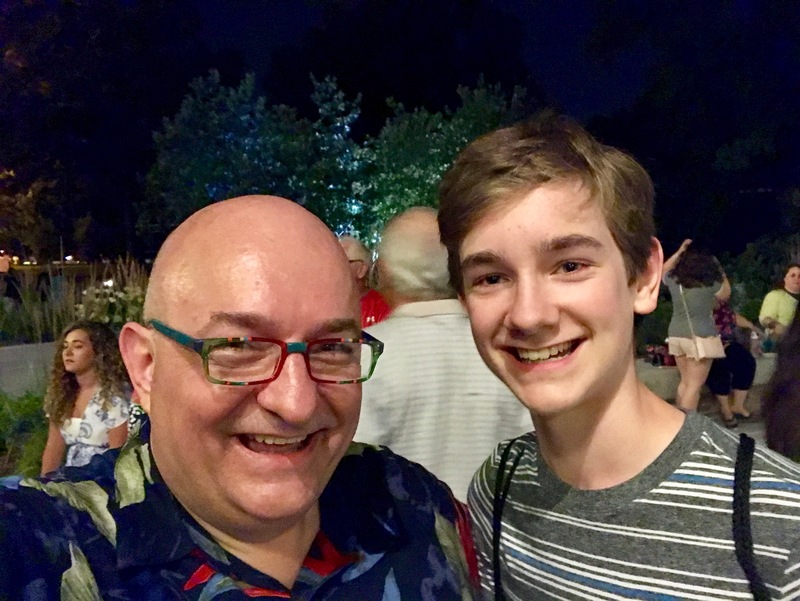 I attended this year’s most excellent Muny Teens show on Friday evening, then went to Meet Me In St. Louis at the Muny. And I got to see seven of my students on two different stages. Phoenix, who is now taller than me. Greta, who clearly had fun on the huge Muny stage. Muny Teens: (l-r) Maria, Ronan, Sydney, Jett, and Phoenix. 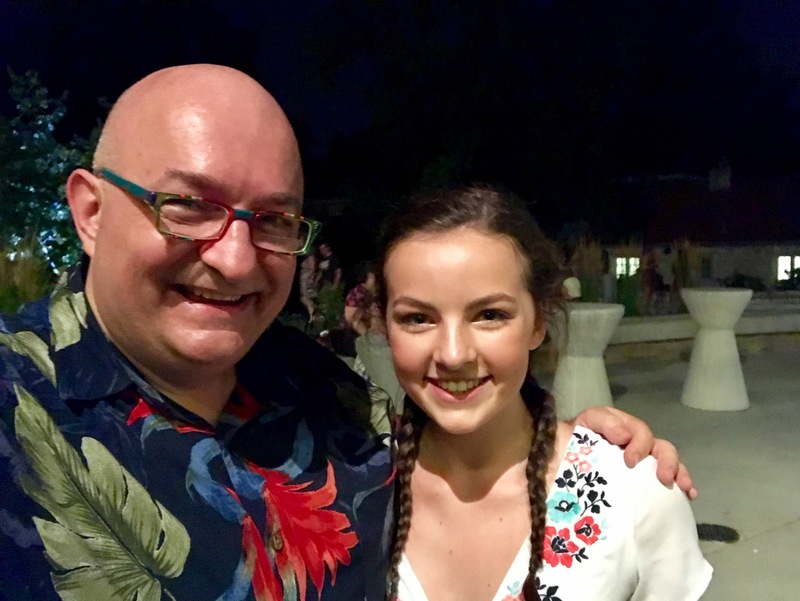 This entry was posted in Daily Life and tagged muny, musical theatre, voice students on August 12, 2018 by Jeffrey Carter. On Wednesday evening, I attended the Muny leading men concert at the Sheldon. And it was magic indeed. These guys have pipes, personality, and poise. And a GREAT time was had by all! They reprise the show on Thursday, October 19 at 7.30 p.m. at the Sheldon. Grab a ticket for two hours of so much fun!! This entry was posted in Great Artists, Musical Theatre and tagged muny on October 19, 2017 by Jeffrey Carter. Seven of my private voice students were on stage at the Muny this week. I caught six of them after the second performance of The Little Mermaid. That’s two waves, two guppies, a Flounder, and 1/4 of an octopus. Not a bad catch . . . at the Muny. 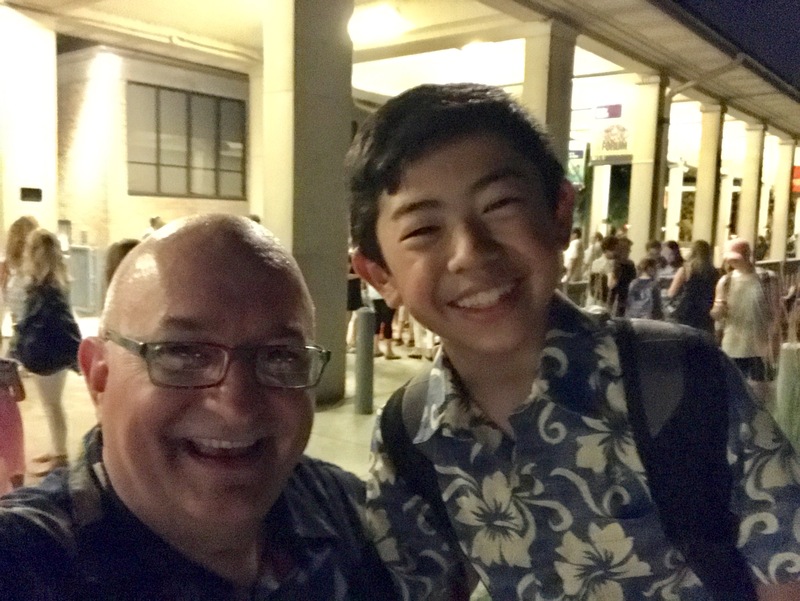 This entry was posted in Daily Life, Musical Theatre, Shows and tagged muny, The Little Mermaid, voice lessons, voice students on June 25, 2017 by Jeffrey Carter. 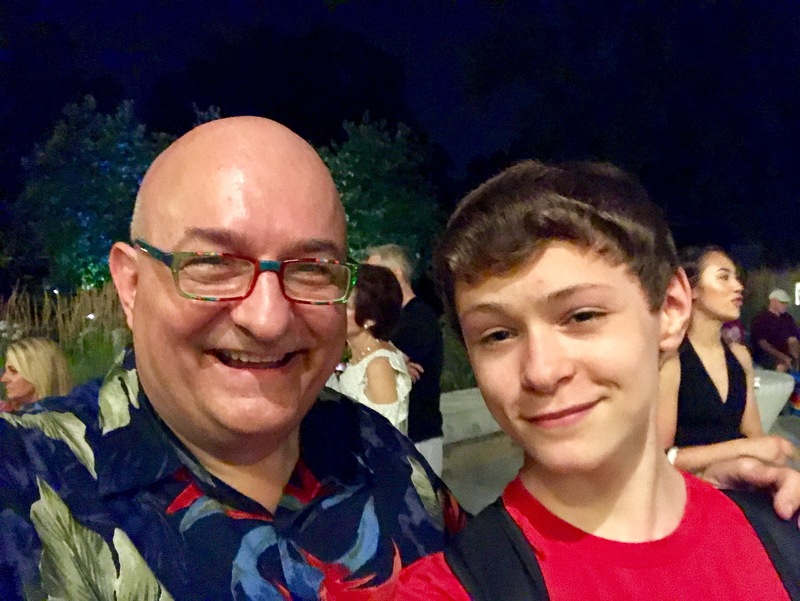 I saw Billy Elliot at the Muny last evening. What a wonderful show this was, with moving and lyrical guitar playing from my colleague Steve Schenkel, a major star in the Billy, and an outstanding cast that brought their A-game. I had a friend with me. He got to meet both Denny Regan, the Muny’s president, and Mike Isaacson, the Muny’s producer. ‘Tis nice to know these folks by name! This entry was posted in Musical Theatre and tagged Denny Regan, Mike Isaacson, muny, New Line Theatre, Steve Schenkel on June 19, 2014 by Jeffrey Carter. Today = a day off. I rose at 7, and by 8 had Samson at the doggy day spa. Breakfast was French toast with hearty bread, and some bacon. I paid bills, and I napped. I finished unpacking, and I repacked for the trip tomorrow. I finished laundry, and I napped. Samson came home from the spa, and he napped. I ate for dinner some cheap tacos from the dive down the street, and we both napped. 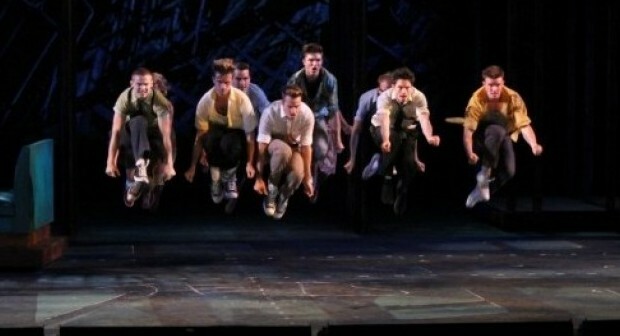 West Side Story at the Muny. 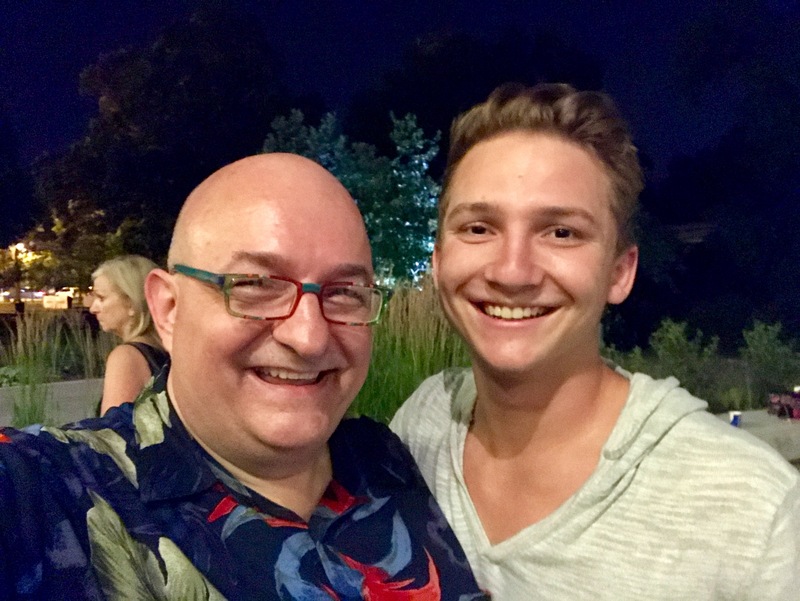 This evening = West Side Story at the Muny, with my student Jacob Lacopo in the chorus. I’ve heard wonderfully happy things about this particular production, and I’m glad to be seeing it! Tomorrow = Colorado, and lunch with Beej, then three shows this week at Rocky Mountain Rep in Grand Lake, way up in the mountains, all of them with Kurt Hellerich in the cast. The shows? A Chorus Line, How to Succeed in Business Without Really Trying, and Peter Pan. 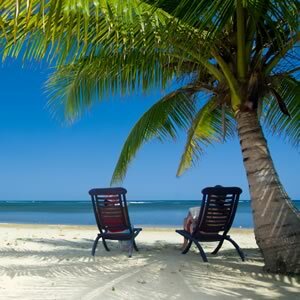 I return home Thursday evening for seven last days of work before sabbatical . . . . This entry was posted in Daily Life, Musical Theatre, Samson, Travel 2013 and tagged french toast, hearty bread, muny, west side story on August 10, 2013 by Jeffrey Carter. We are at coffee break time at the League of American Orchestras annual conference. I’m attending a portion of today’s events as a first-time attendee. The Saint Louis Symphony Orchestra made arrangements for partners to register free of charge; I took advantage, of course. The exhibit hall is filled with agents and publishers. Pops and comic concerts seem to be a big deal! (I suppose that concerts of that ilk are great audience builders.) I visited for a while with a team who help in career development, and think we may have some opportunity to enrich our student experience with their help. Rob Shay from Mizzou is here; we visited for a few minutes. And I spent a few seconds with Gene Dobbs Bradford, Executive Director of Jazz St. Louis. I waved at some SLSO folk; they’re out in full force, of course. And I talked to a few people who are piggy-backing from the Conductors Guild conference that concluded earlier this week. My next event is a Digital Media workshop, after which I head to lunch at home and then to the office for a full afternoon of meetings and tasks. Rob Shay mentioned his ‘A’ list and ‘B’ list for the summer. I’m pretty much through my ‘A’ list, which is good, since I have only four more office days before departing for the UK. When I return, the run-up to the beginning of school is in full swing and any other planning and longer-term work will take a back seat. Tonight = Spamalot at the Muny. Charlie Ingram (my senior music theatre major) is singing the pre-show at the gazebo. Jacob Lacopo (Webster alum and former student) is in the show. And I’m looking forward to seeing Eli Wedel, a former student from Ball State, in Saint Louis for a few days. This entry was posted in Daily Life, Webster and tagged charlie ingram, Leage of American Orchestras, League of American Orchestras, muny, saint louis symphony on June 19, 2013 by Jeffrey Carter. But . . . I’m officially on ‘vacation’ for 3.5 weeks. I’ll celebrate the beginning of vacation by eating at Steak & Shake, and then going to the Muny to see Aladdin. More on the alleged ‘vacation’ on Thursday. This entry was posted in Daily Life and tagged aladdin, muny, vacation on July 11, 2012 by Jeffrey Carter.